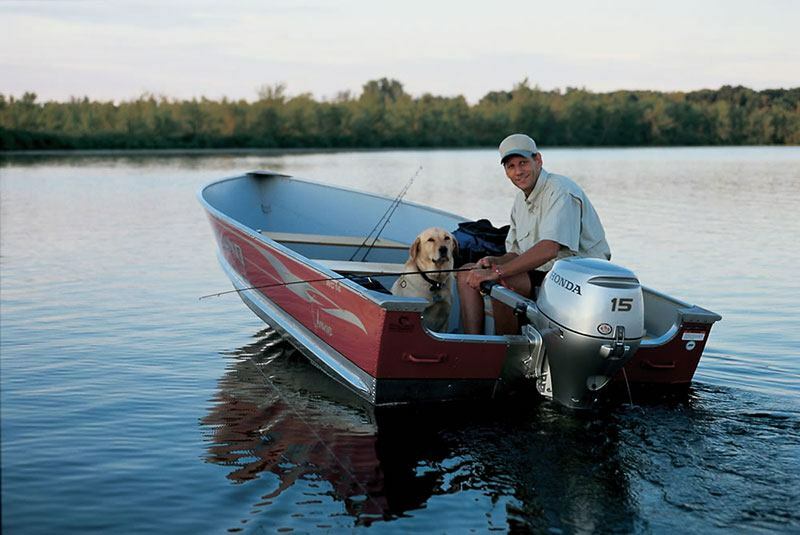 For smaller 12 to 16 foot boats, the BF15 and BF20 are as convenient as you can get. At just 104 pounds, they are among the lightest in their class. Yet they‘re all Honda DNA: quiet, reliable, fuel efficient, and loaded with features. ULTRA 3 STAR CARB EMISSIONS: Environmentally conscious technology. All Honda Marine engines exceed the highest CARB 3-Star rating to meet the rigorous California Air Resource Board's standards. HIGH OUTPUT CHARGING - MORE POWER! The BF15 and 20 have the largest alternator in their class. These motors generate 12 Amps at only 3000 RPM. This helps to maintain battery charge and keep electronics running at trolling speeds. Standard pitch - 10 in. Power thrust pitch - 7.6 in.